Monachty, or Mynachdy – Welsh for Monks’s House, was originally a hospitium of the great Cistercian Abbey of Strata Florida 30 miles to the north. Reverend Alban T.J.Gwynne who inherited the estate from Lewis Gwynne in 1805 set about remodeling the manor house with architect John Nash into the Georgian manor that can be seen today. 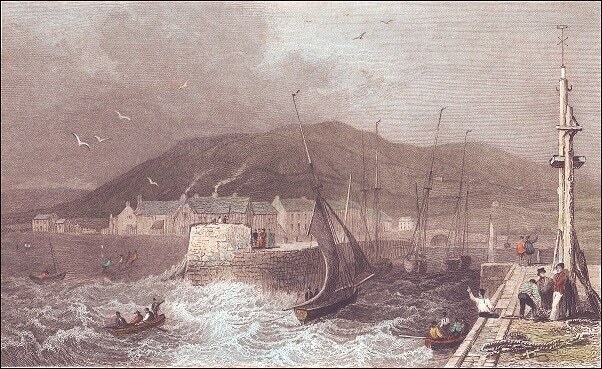 In 1807, Alban T.J.Gwynne, as lord of the manor, obtained a private Act of Parliament, the Aberaeron Harbour Act, empowering him to rebuild the pier and improve the harbour and town which he did so in the same style as Monachty. Alban encouraged building near the harbour and many activities and trades developed, especially boat-building and the herring fishery. 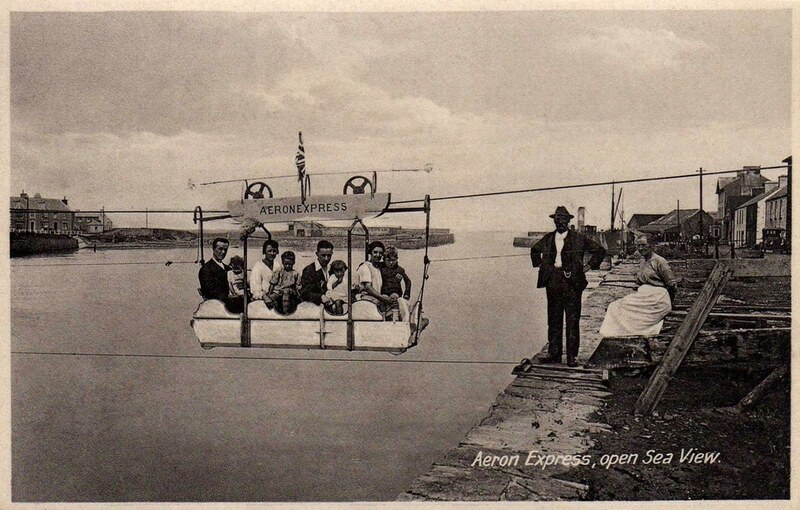 The present town of Aberaeron was born but the real impetus came when his son, Alban junior, came fully into the estate after his step-mother Susanna’s death in 1830. This son, who passed through the Upper Tivy Militia, Cambridge University and the Middle Temple, lived at Monachty and has been remembered as Colonel Gwynne. Colonel Gwynne's son, Alban Lewis Gwynne was born in 1880 and was appointed a Lieut. Commander in the Royal Navy. He married Ruby, daughter of Col. Bond, of the Indian Army in 1912, and had, with other issue, a son Alban Patrick, born in 1913. Alban Lewis Gwynne sold the Monachty Estate, including the Manor or Lordship of Aberayron or Llyswen, to Albert Henry Jarrard, Solicitor of Coventry, on 18th June 1936. A Sale Catalogue of 1936 describes it as of "Georgian character a southerly aspect, comprising on the ground floor: entrance hall with stone paved floor, morning room communicating with a small winter garden drawing room, dining room, smoking room, domestic offices, store room. butler's pantry, servant's hall, kitchen, scullery, fine oak staircase, cellars. On the first floor: five bedrooms, day nursery, night nursery, linen cupboard. On the second floor: three large rooms for servants. To the rear of the house, extensive buildings, yard, larders, store-room, coach house, laundry, boot room, stables, etc., walled garden, three greenhouses for peaches and nectarines, and farm buildings. 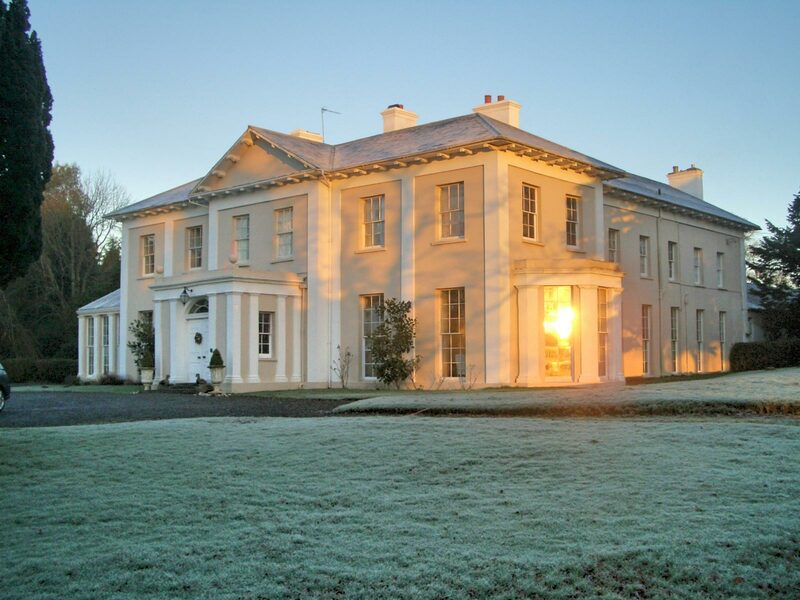 Jarrard sold the mansion and some land to a trustee for Ivor Jones on 11 November 1937. On his death it passed to his son Nigel Symons-Jones who still lives at Monachty. Monachty including its gatehouses, outbuildings and farmyard is a CADW Grade II* listed building — marked as a building of particularly importance of more than special interest. 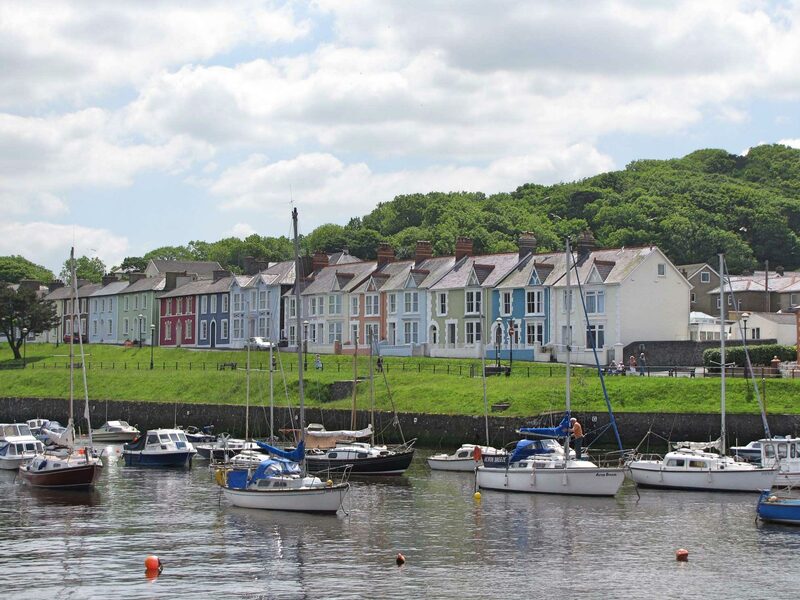 Grade II* buildings make up the top seven per cent of the total number of listed buildings in Wales.